I see so many bands murder their own songs when they take them to an acoustic environment. Which is quite ironic in itself considering that's how exactly many songs start off (in acoustic form). 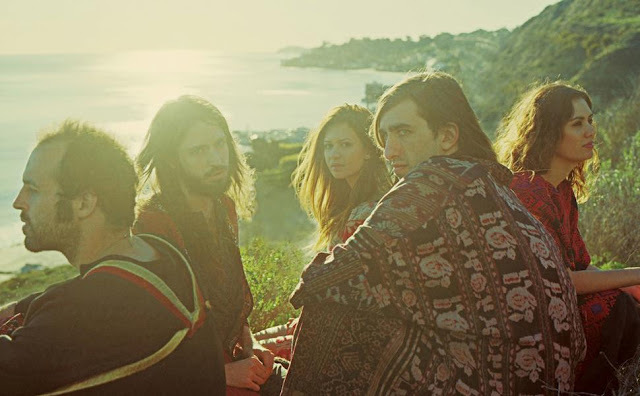 There's no fear of that here though as Crystal Fighters release another blissfully beautiful video falling in line with their second album 'Caver Rave'. This time we're treated to a delicately fun rendition of Love Natural. With the band heading to the Basque Hills to write and record their follow up album it seems only fitting that their music sits so acoustically brilliant within a cave setting. As the band get ready to release their new single LA Calling on 30th Sept they'll go on to embark on a full UK tour this Autumn. You can check out the full details below. Tickets available here.